As we get closer and closer to Team Sonic’s release, more tracks are being revealed. The newest one, however, is its spookiest yet. Known as “Haunted Castle,” it takes you to—you guessed it—a haunted castle. If you want to make it out alive, you better be in perfect tandem with your teammates. The new composition is created by Tee Lopes. It is performed by S.A.M.E. and violinist Tei Sena, who gives this track an appropriately eerie atmosphere. It joins other tracks such as Ocean View, Hidden Volcano, Frozen Junkyard, and Whale Lagoon. 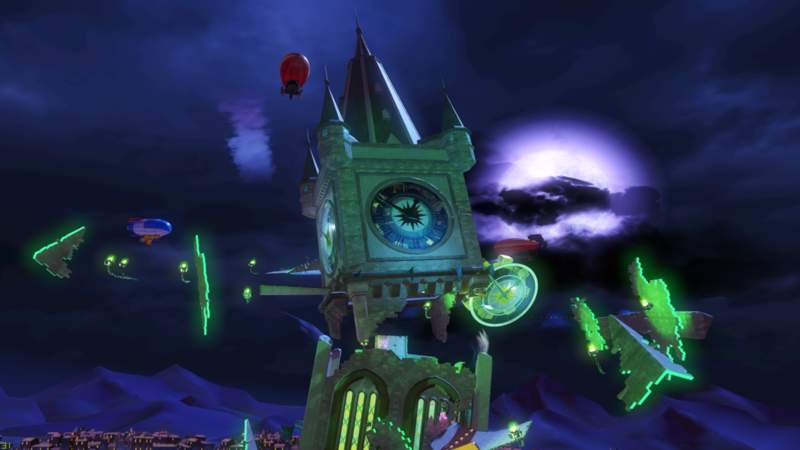 For most of these track reveals, Sega has opted to go for an unusual method and highlight the game’s music, rather than gameplay. It definitely helps Team Sonic Racing stand out from the other titles in what is becoming an increasingly-crowded kart racing field. Team Sonic Racing, true to its name, puts some of the most iconic Sonic the Hedgehog Characters together for some high-speed thrills. However, the twist this time is that these characters are paired up in teams of three, and each character focuses on one of three stats. In addition to Team Sonic, which includes Sonic, Knuckles, and Tails, there’s Team Rose, Team Vector, Team Dark, and Team Eggman. As with any good kart racer, there are plenty of customization options available. Players can choose the perfect wheels, paint job, and even horn before they go out onto the track. After a hefty delay pushed it back to 2019, Team Sonic Racing is almost ready to cross the starting line. Team Sonic Racing will release on May 21, 2019 for the PlayStation 4, Xbox One, Nintendo Switch, and PC.